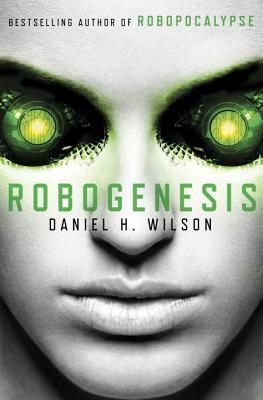 Any consideration of Wilson’s recent Robogenesis inevitably involves comparison to its predecessor Robopocalypse. I wouldn’t recommend picking up this sequel until you’ve read the first book. If you have read it, your opinion about the first volume won’t necessarily translate over into this middle volume of an apparent trilogy. While keeping many of the basic structural and technological elements of Robopocalypse, Robogenesis tells a different kind of apocalyptic tale, with a very different tone. Robogenesis opens immediately following the events that close Robopocalypse, with humanity seemingly defeating the robotic leader and instigator of the robot uprising and resulting war in the first book. The reader quickly discovers that the enemy of the first book may not have necessarily been the evil one would think, and as actually implied in the first book, the robotic intelligence may actually have instigated the uprising for the ultimate, long-term benefit and salvation of humanity. In short, a far greater robotic malevolence lurks in the technological background, intent on really destroying humanity. Starting in on Robogenesis I was delighted to see how the plot was unfolding. Unanswered questions from the previous book (which still could stand well as a stand-alone novel) led me to think there must be much more going on behind the robot uprising historically chronicled in its pages. Robopocalypse suffered somewhat from a plot that lacked in the unexpected. The general robotic apocalypse plot is hardly new, and the outcome of this particular one, and the survival of key protagonists is certain from the start. By virtue of its construction as a series of recollections, each chapter projects the key events and outcomes to come with biographical/historical introductions that just grated on me. By pulling a big twist and going into new territory, Wilson makes Robogenesis far more compelling. The general apocalyptic plot here – human survival of devastation and attempts to rebuild from war and a collapse of civilization – is generally familiar, but Wilson really takes it in interesting directions with robotic technology and action he is so skilled at relating. Even better, the ultimate outcome for the characters and state of the world for the novel’s end is not projected. (Chapters still have the same style as in Robopocalypse with introductions that explain some of what is to come though). Robopocalypse had a roughly chronological organization with one consistent human narrator (at least in introductions) despite multiple points of view. Robogenesis with its increased complexity is organized more according to point of view character sections, making it less cohesive despite a consistent robotic narrator for introductions. This unfortunately can make the story a bit harder to follow (keep track of details of character and setting, e.g. ), particularly if one picks the book up amid significant breaks from reading it. The greatest strength of Robopocalypse continues to hold true for Robogenesis. The robotic characters are fascinating. 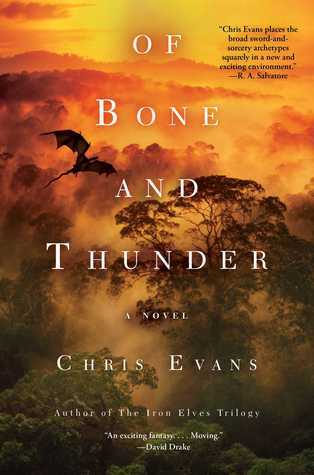 With this novel many appear more human – emotional – than the majority of those in the first book, but their personalities both on the ‘good’ side or ‘evil’ side are fascinating. Equally fascinating to science fiction fans (or technology fiction fans more so) is Wilson’s inclusion of relevant robotic science and speculation, presented in action that flows like projected from a camera. While the scientific background and details in the novel are seriously done here, the overall style of it like Robopocalypse is simple, pulpish entertainment and adventure. Popcorn cinema. Yet, Wilson wrote the first novel with a profound sense of optimism, and even wonder. In Robogenesis Wilson does the reverse. The overt robot-human war of book one has turned to a covert robot presence that actively provokes human-human conflicts in their struggles of apocalyptic recovery. The tone thereby becomes grim and any sense of wonder over the technological abilities of robots and their intelligence turns to elements of absolute horror with human cruelty, gory flesh violently destroyed by machine, and a pervasive sense of hopelessness. A bit of this existed in the first novel, but is increased here. This tone fits the stereotypical atmosphere of ‘middle’ works in a trilogy, particularly those in film – and Wilson’s series and writing are certainly cinematic. Not a surprise, and not inherently a good or bad choice, I found it works well for Robogenesis, but other reader’s may be averse to the negative intensity. Thus, even with similar structural flaws in how the story is told from my opinion, I found the story of Robogenesis far more enjoyable, and appreciated its dark tone that is likely to turn brighter for the third novel. Yet, while the first novel can be just read on its own, this reads as something that cannot exist without links to Robopocalypse and the third novel to come.